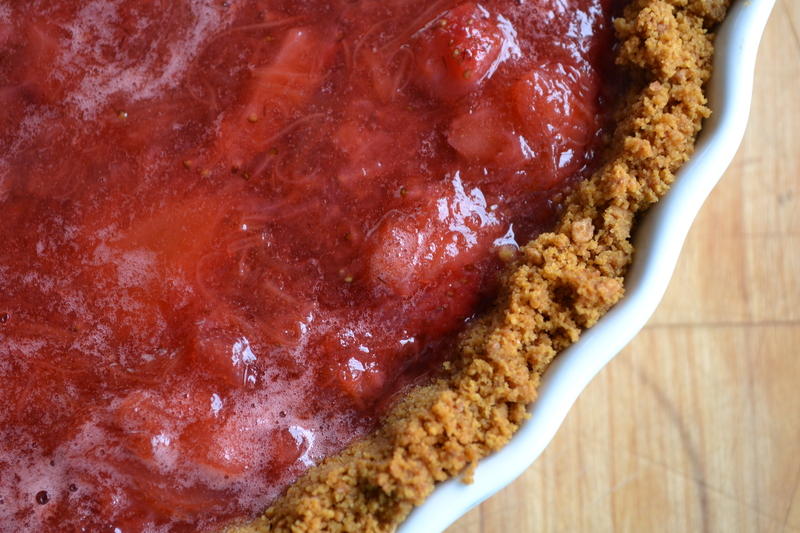 Strawberry and rhubarb. Was there ever a more dynamic pairing? Fresh tasting, sweet-tart and synonymous with early summer, it is a favourite at our house. Now, you can cook these two food-friends into a crisp, or a crumble, a buckle or a betty. You can spike your lemonade or iced tea with them, or have them straight up, warm from the garden or cool from the fridge (maybe with a quick dip in something sweet for the rhubarb). Whichever way you bring them together, it’s glorious. Possibly one of the most delightful things about this little tart is that it’s really nothing more than a quick jam poured into a cookie crust. No complaints here! Nothing could be easier and if you’re really out of time or energy, buy the crust, pre-made! So before it’s too warm to even think of cranking up the oven and before the strawberries are beyond their current juicy, rubicund perfection whip up one of these simple tarts and sit back, lemonade in hand, while your family and guests ooh and ahh. Feel free to smile smugly, I know I did. The two components of this pie, the crumb crust and the jammy filling, can both be made ahead of time and kept separately, refrigerated, for a day or so before bringing them together. I prefer the tart at room temperature, but cold from the fridge would be lovely as well. Vanilla bean ice cream or a cloud of whipped cream makes a delightful accompaniment. Melt 6 tablespoons of butter. In a large bowl, add the butter to 1 1/2 cups of crushed graham crackers (from about 2 dozen crackers). Stir well; the mixture will be like damp sand. 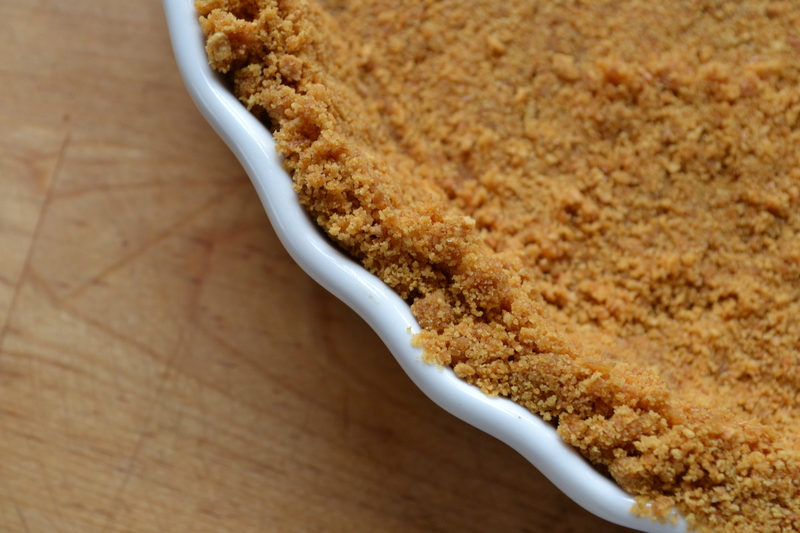 Press the crumbs into the bottom and up the sides of a 9″ pie pan. Bake the crust until slightly darkened and crisped, at 350 degrees for 10 minutes. Combine all ingredients in a medium sized, heavy bottomed sauce pan. Cook, over medium heat until the fruit is broken down and has reached a jam-like consistency. * If Pour hot fruit into the warm or cooled crust. 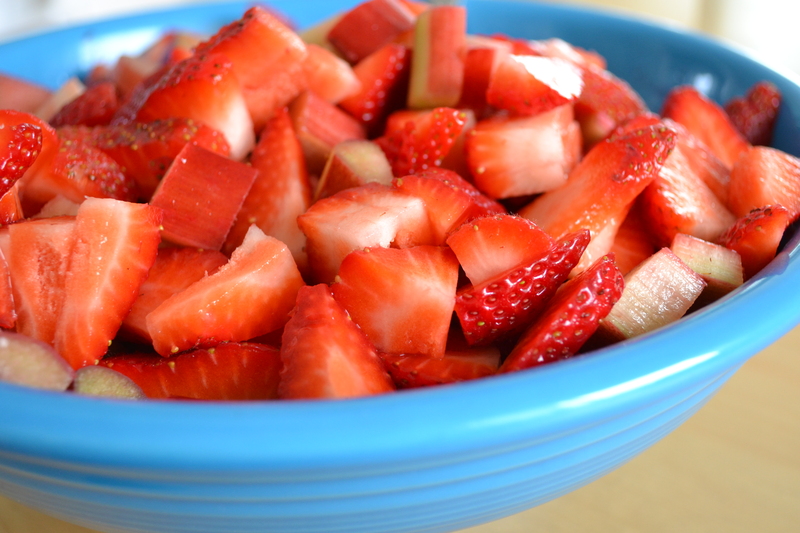 Any extra fruit can be kept for up to 2 weeks in a well sealed container in the fridge. Allow the tart to cool completely before serving or refrigerating. *You may notice a fine foam atop the fruit. This may be skimmed, but will not affect the flavour or texture of the end product.